It’s much more than just the “McDonald’s All-American Game of the North”. High school basketball in Canada has always been good. Really Good. There’s been no shortage of talent coming out of the Great White North for the past few years, even the last few decades. In case you haven’t been paying attention during that time, Canada has made big moves to become a hoops hot-bed for young ballers. Nothing is more evident to show this than the inception of the Biosteel All Canadian Game, showcasing 24 of Canada’s young basketball prodigies. It’s a high school basketball all star game affectionately nicknamed as the ‘Canadian’ edition of the McDonald’s All-American Game in the U.S. After attending the 4th annual Biosteel game earlier this week, I’d say that comparison doesn’t do the event justice or gives the respect it clearly deserves. Yes, in many ways its identical to its American counterpart, and I’m sure the overall idea for the game was influenced by the brand and cultural success the McDonald’s Game has had on high school basketball in America over the years. 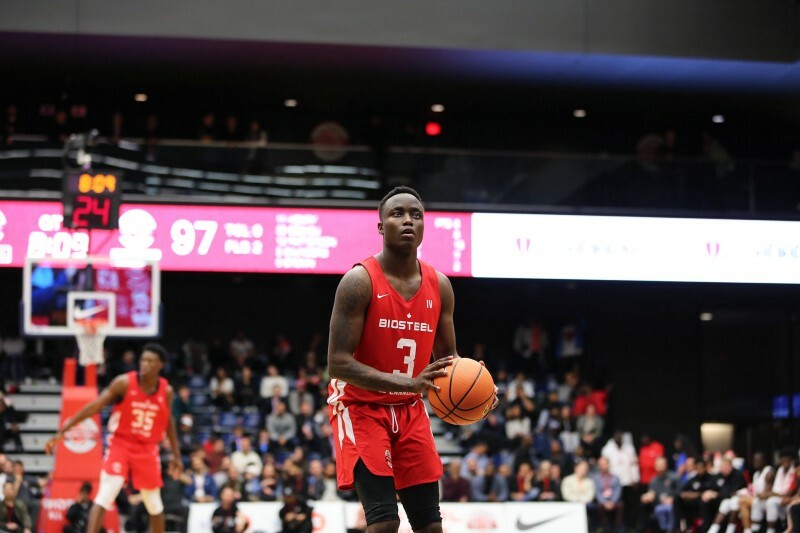 There have been other Canadian or Regional all star showcases in the past, but the Biosteel game is at another level for Canadian Basketball. From the minute I walked into the University of Toronto’s beautiful Goldring Centre I realized how big of a deal this game really was. With TSN doing live coast to coast national coverage, the game was potentially going to be seen by millions of canucks. Add Nike as the official apparel sponsor and you have a recipe for serious basketball legitimacy. With word that the #1 North American High school prospect R.J. Barrett (Yes he’s Canadian and he’s the #1 prospect for both Canada and the U.S.) would not be in attendance due to his involvement in the Nike Hoops Summit, some might think it would dilute the shine of the game a little. Not the case. 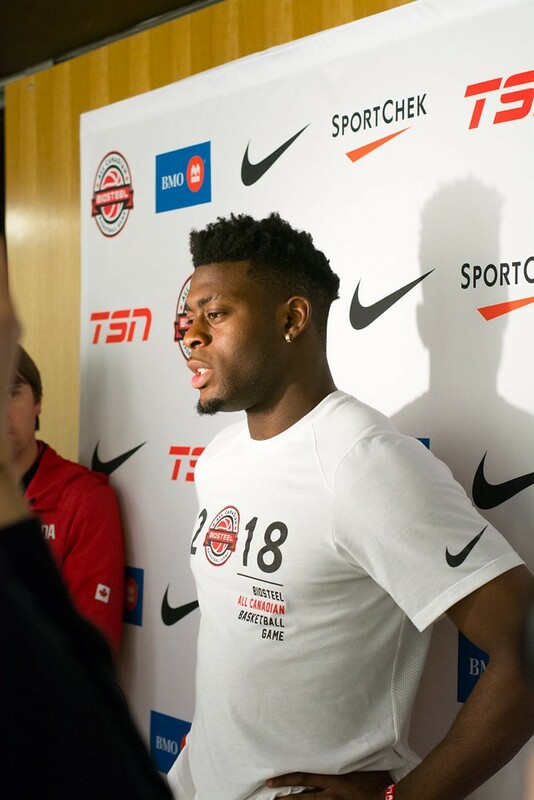 As I walked into the Men’s locker room and joined the media scrum around 5-Star prospect guard Luguentz Dort, it was easy to believe this dude was going to go off and repeat as MVP again as he did for 2017 game. The Quebec native stands at 6’5” and pretty much looks like a grown man. I watched his Youtube highlight mixtape in preparation for covering the game and after seeing what I saw, I expected something freakish to happen. Dort aside, the game itself was dope from start to finish. The ball skills on display were unbelievable. Point guard Daniel Sackey, a Winnipeg native was the fastest and most refined PG on the floor. The Valparaiso University commit’s speed and handles were unmatched. Several others like 6’10” center Kaosi Ezeagu, small forward Deon Ejim and eventual Red Team MVP small forward Quincy Guerrier all were an active part of the show that night. It seemed like every player had at least one play (some had several) that wowed the sold out crowd in Toronto who were heavily engaged with the game from start to finish. The White Team ended up defeating Red 147–131. It wasn’t just the individual play that entertained. We usually don’t expect much team play in all star games for obvious reasons, but the chemistry between the players made it seem like they’ve had an entire season together. The majority of the night featured great set up plays, crisp ball movement and a lot of unselfish play. For me, It was a sample size view of the certified current state of basketball played in Canada, and the future looked bright. On July 8, 2017 Canada defeated the US 99–87 in the semifinals at the Men’s FIBA U19 World Cup. It was easily a signature win in international play for Canada, with R.J. Barrett leading the way dropping 38 points, 13 rebounds and 5 assists. They eventually beat Italy to claim Gold in the tournament’s final game. That win cemented Canada as a force to reckon with, not just in the future, but right now. 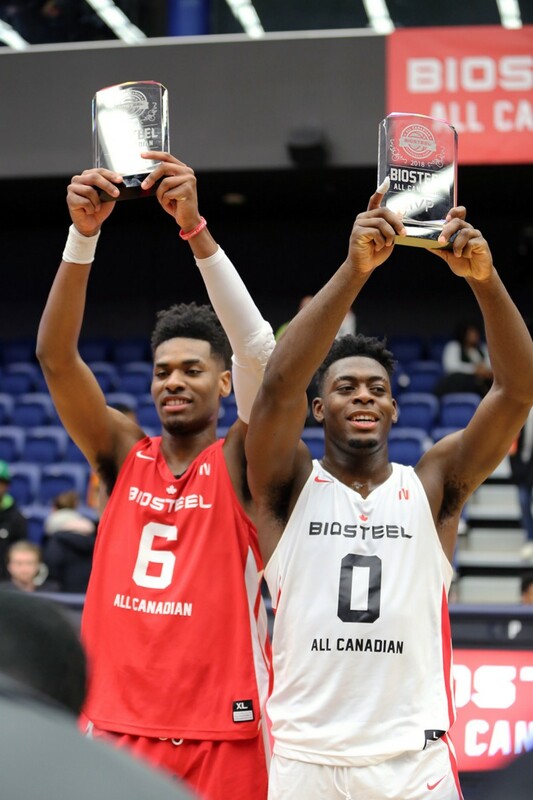 For this reason I refuse to call the Biosteel All Canadian Game the “McDonald’s All-American Game of the North”. Basketball in Canada has earned their own identity. At the end of the game, which featured an exciting finish, I watched Dort hold up his team white MVP trophy, along with Guerrier holding his, pose for photos while surrounded by the rest of the games players. At that moment not only did I realize the the high caliber of Canadian hoops talent is real and continues to grow, but that we can stand a part from the U.S. or any other country and claim to be a nation of basketball prestige and dominance for years to come. COLUMN – IS THERE REALLY SUCH A THING AS “WHITE PRIVILEGE”?